Brian is a master organizer! If you’re overwhelmed with clutter and disorganization, call Brian. He’ll transform your home, garage, or office into an oasis of peace and order. Brian is great to work with and makes the process easy. He’s the best in the business! If you’re tired of living with the mess, call Brian so you can enjoy your home again! Brian is amazing. He transformed our overly cluttered garage to a place that my entire family now wants to hang out in. Everything has its place. Brian is a full-service operation and a make-it-happen kind of guy. I can’t wait to use him again. As working parents with two kids, we never have time to organize our life and stuff. We hired Brian to organize our playroom and kept him on to declutter our kitchen and garage. He’s the absolute best! I can say without a doubt that Brian’s capabilities are without rival. 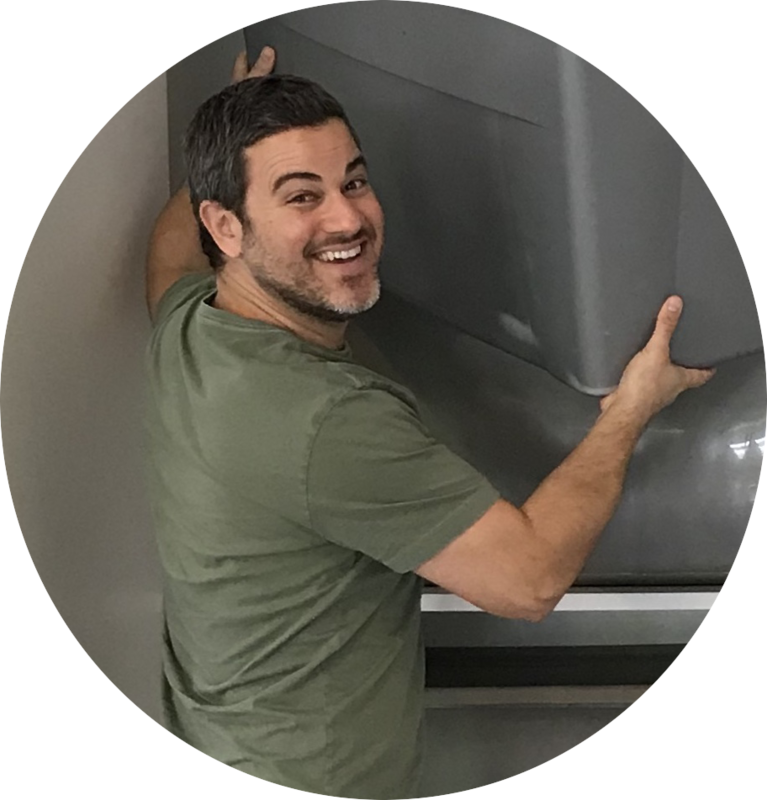 If you need a closet refresh, kitchen cabinet overhaul, garage clean-out, or anything in between, you won’t believe what Brian can do. Brian is a talented organizer with the practical sense of a young dad, a crisp eye toward the aesthetic, and the uncanny ability to fix anything while keeping it looking good. We hired Brian when we moved to help us organize and decorate our new home. He helped us get rid of the stuff we didn’t need and create a cozy and functional space that we love. Brian was absolutely AMAZING!!! He is the best shoe expert & did wonders in our closet. Without him I would have been lost. Brian is more than an organizer, he’s a visionary. He comes up with brilliant, creative solutions that I would have never considered. He’s talented and enjoyable to work with. Brian was a real hero in our house. He helped me file away all my papers and the desk is now a beautiful piece of furniture for our vintage record player. He worked on the closet too. Everything is clearly visible now and has its place. My closet is small but he helped me figure out a plan and it works. I really liked his attention to detail and the service he provides. I highly recommend Brian if you want to free up some space in your home, office and your mind. Have a question about home or small business organization solutions? Send Brian an email here or call him directly at the number below.